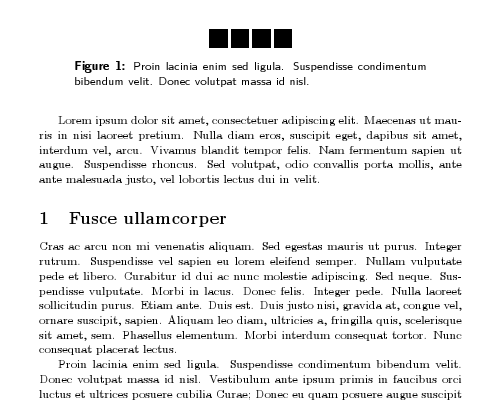 Captions of floats (figures and tables) in LaTeX are by default typeset the same way as the body text. For better readability it could be appropriate to use a different font, font size or margin for the captions. This is possible with the LaTeX package caption. More information in the documentation of the caption package.